This is an acrylic painting on a gallery wrapped canvas meaning that the sides are painted. The painting measures 10″x 8″. 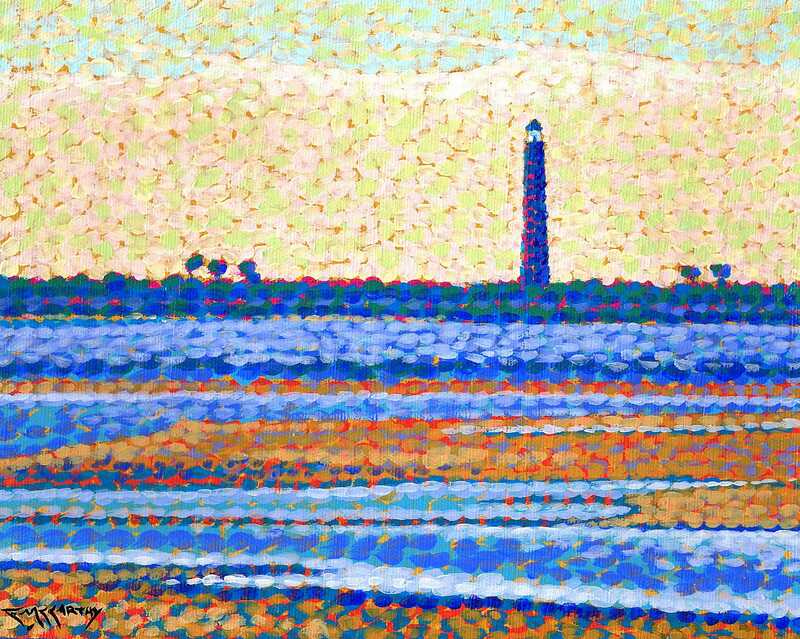 This pointillist painting depicts the Ponce de Leon Lighthouse, the second tallest in the US, from the New Smyrna Beach side of the inlet, on the east coast of Central Florida. Inspired by my time in Florida. This pointillistic painting is being sold unframed.